Seacor Marine (SMH), part of NYSE-listed Seacor Holdings, is to issue $175m in convertible notes to investment funds controlled by private-equity multinational the Carlyle Group. Seacor says it is contemplating the eventual separation of SMH from the Seacor Holdings group, “potentially via a spin-off of SMH or via a spin-off of Seacor Holdings’ other business lines”. A final decision has not yet been made. “This transaction provides additional capital for our offshore group to seek out opportunities arising from the dislocation in the energy sector to acquire discrete assets and pursue strategic transactions that complement our existing business,” said Charles Fabrikant, executive chairman and CEO of Seacor Holdings. Rodney Cohen, managing director and co-head of Carlyle’s US Equity Opportunity Fund, added that Seacor’s management team “have consistently demonstrated their ability to invest and create value throughout cycles”. 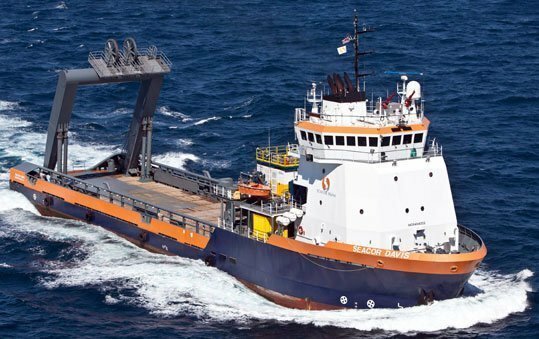 The notes themselves will be issued on December 1 and have a seven-year duration, which Fabrikant explained will “provide Seacor Holdings the flexibility to retain or separate its offshore marine business in order to maintain its disciplined and strategic approach to capital allocation”. The notes will carry a coupon of 3.75% and will be convertible into shares of SMH common stock at an initial conversion rate of 23.26 shares per $1,000 principal amount of notes. Secor says this is approximately equal to 18.7% of the current outstanding shares of SMH on a fully-diluted basis, equivalent to a conversion price of $43.00 per share. If SMH is not spun off within two years, the holders of the notes will have the right to sell back the notes to SMH at their par value, plus interest. The noteholders will have an ongoing right to exchange the notes for shares of Seacor Holdings’ common stock at an initial exchange rate of 12.82 shares per $1,000 principal amount of notes (equivalent to an exchange price of $78.00 per share), Seacor said.